Sometimes I am lucky enough to find some interesting items on Ebay. 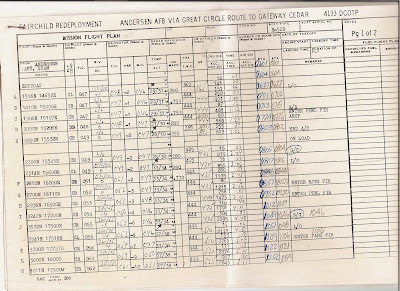 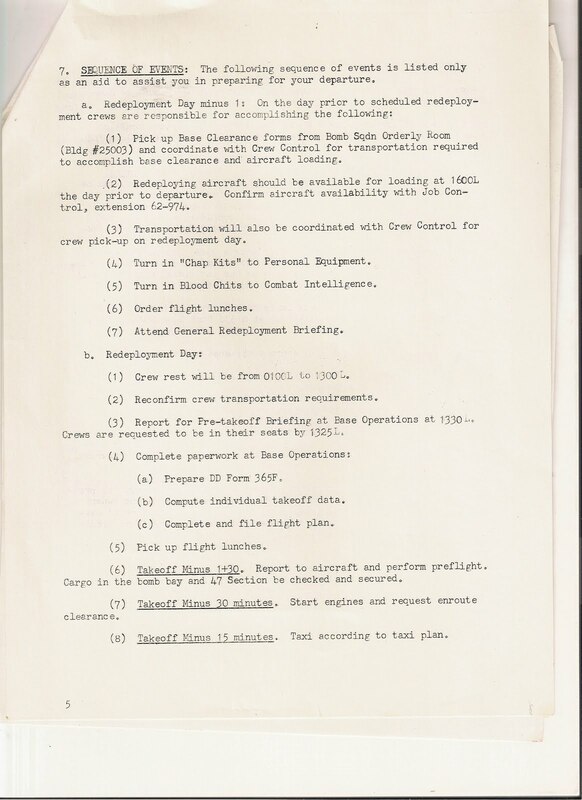 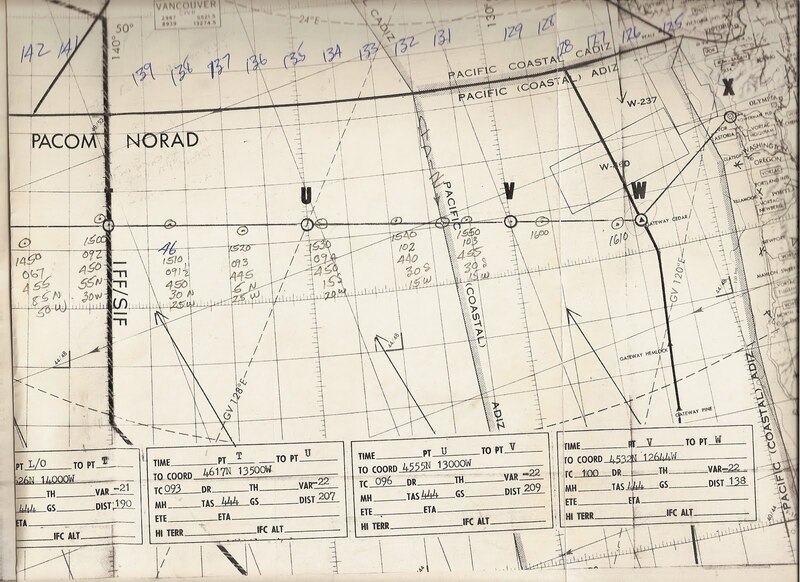 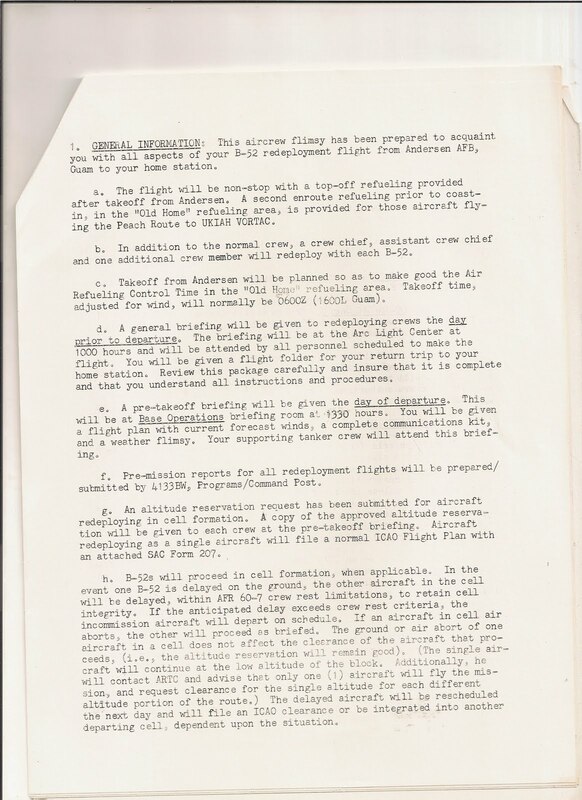 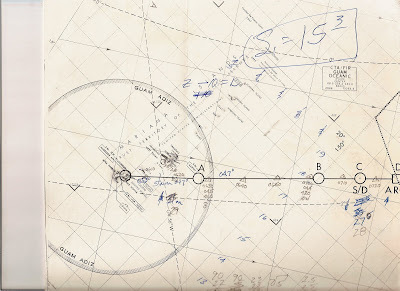 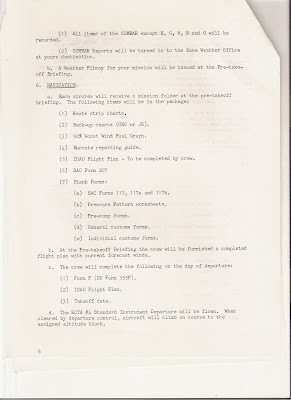 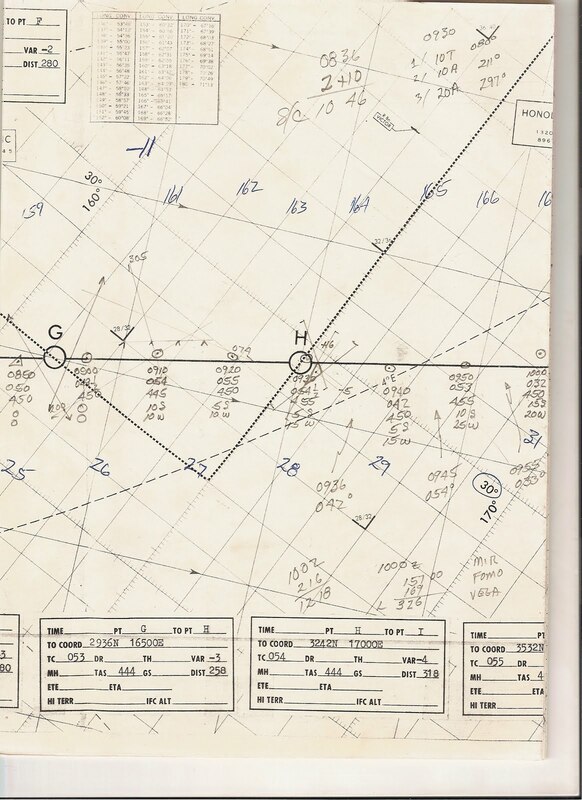 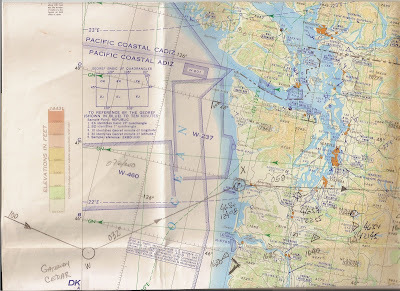 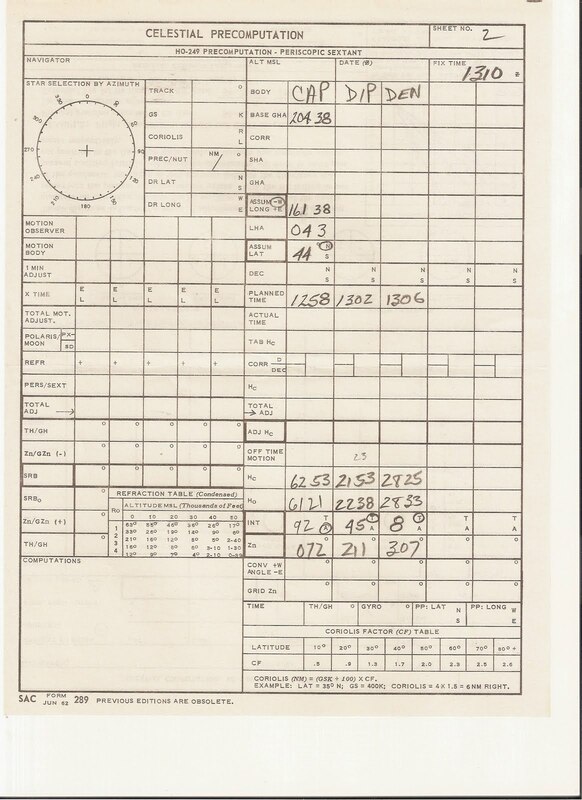 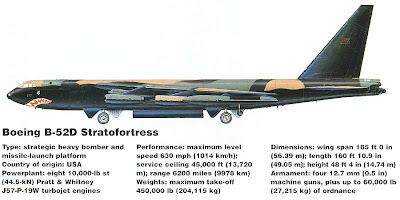 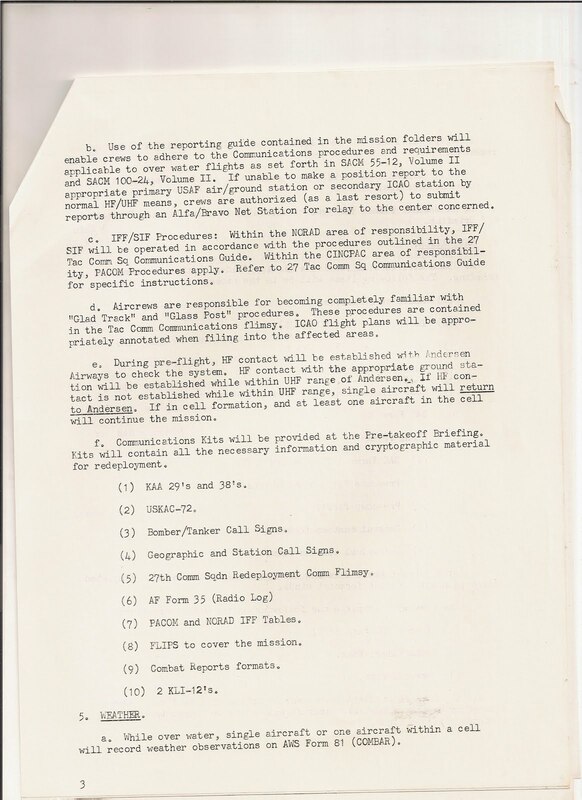 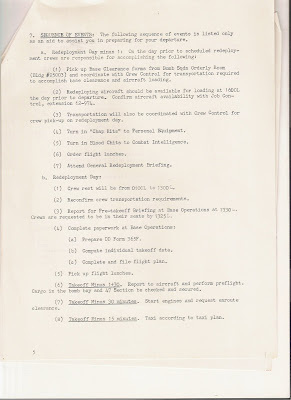 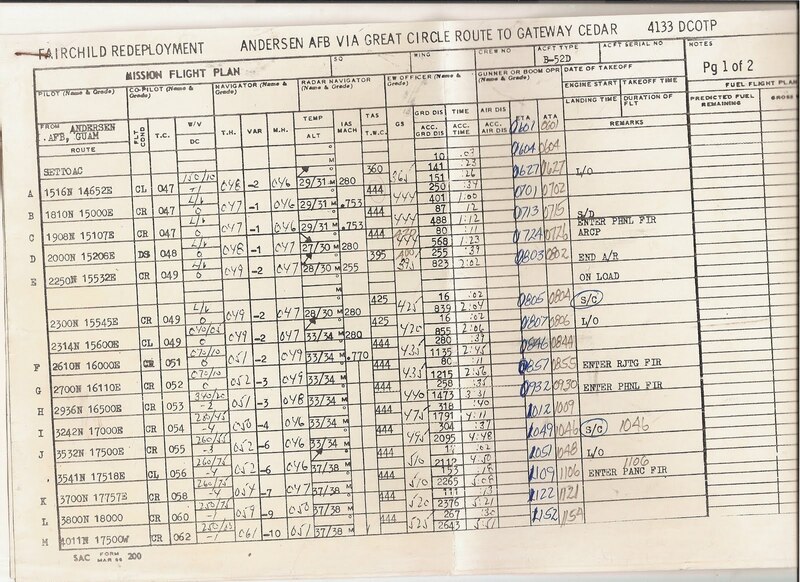 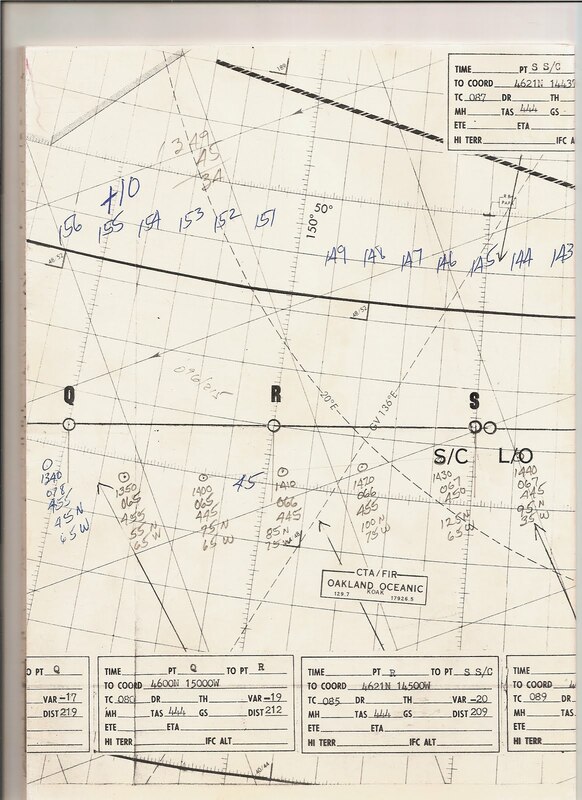 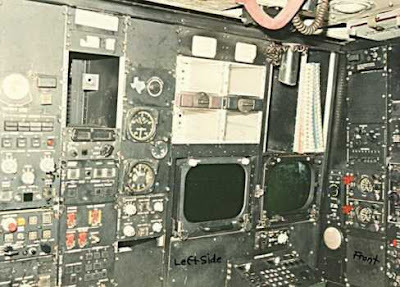 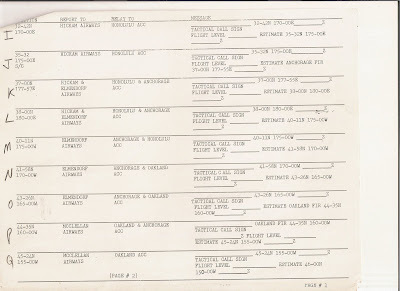 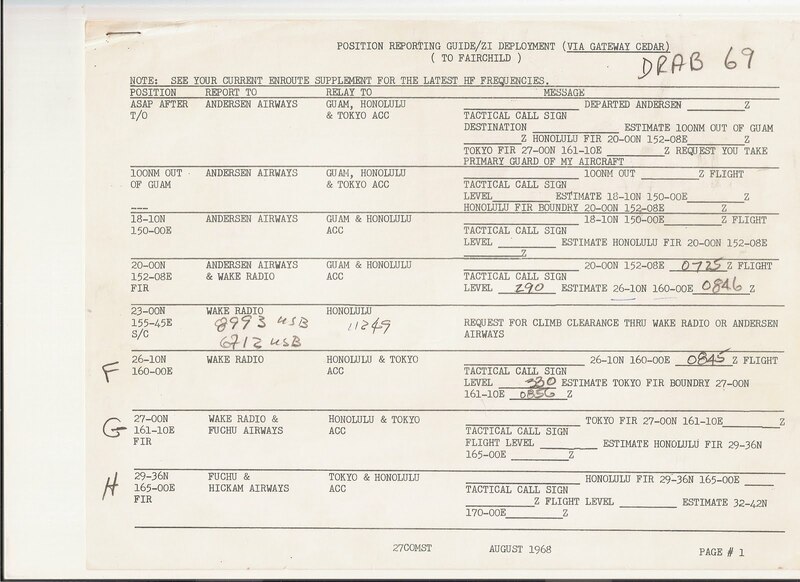 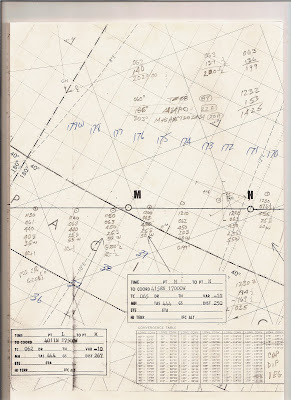 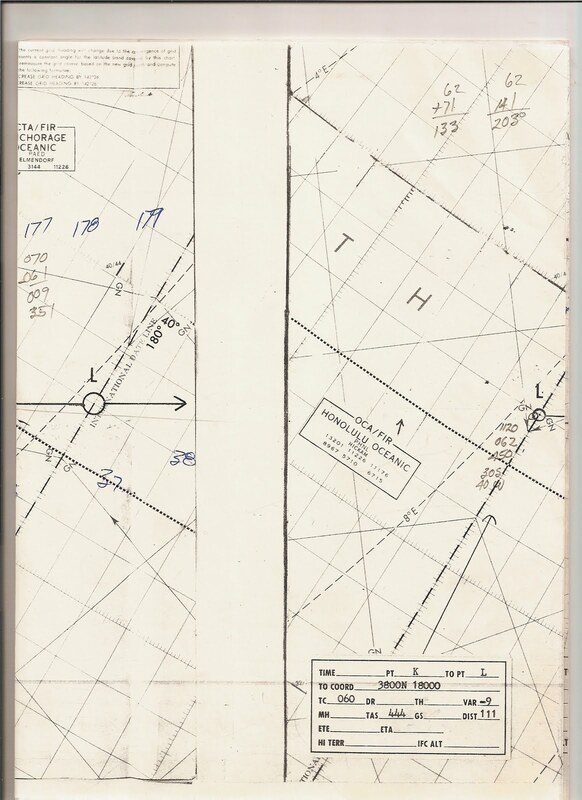 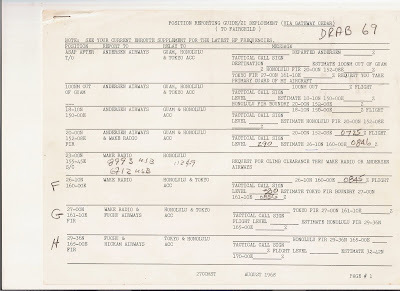 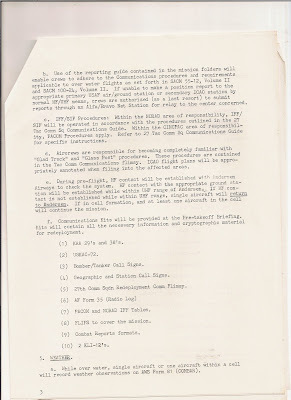 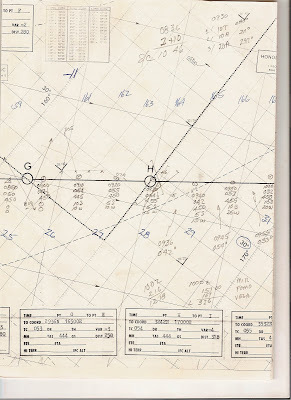 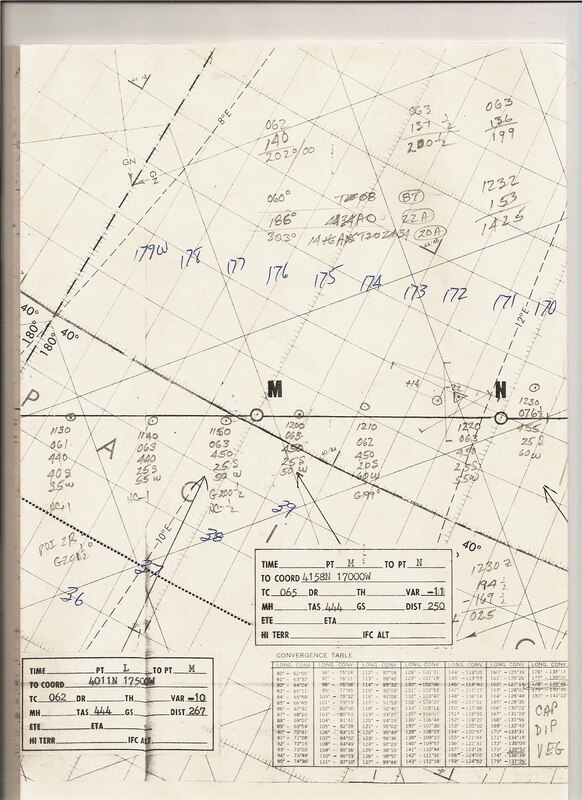 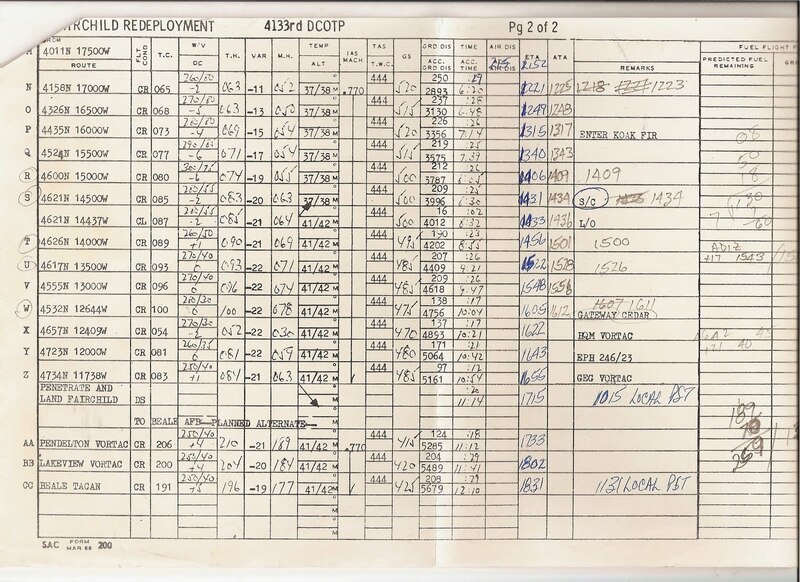 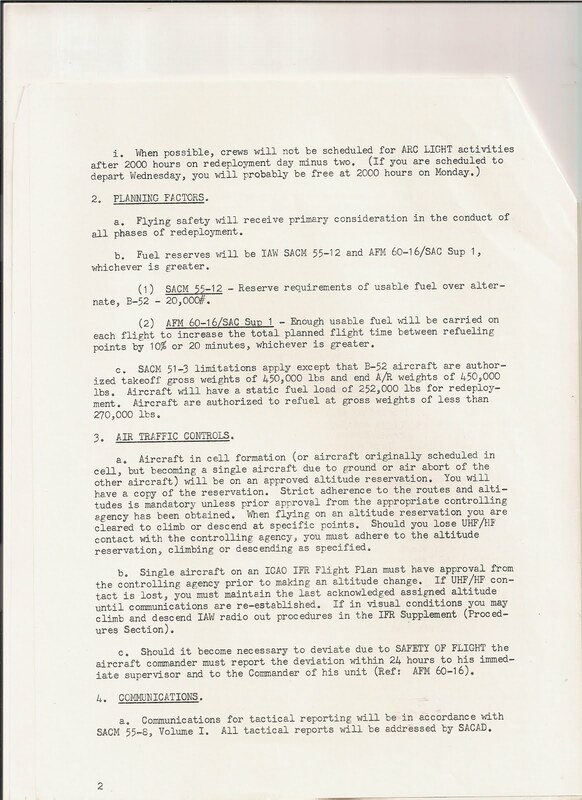 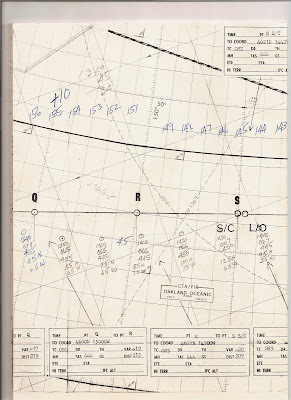 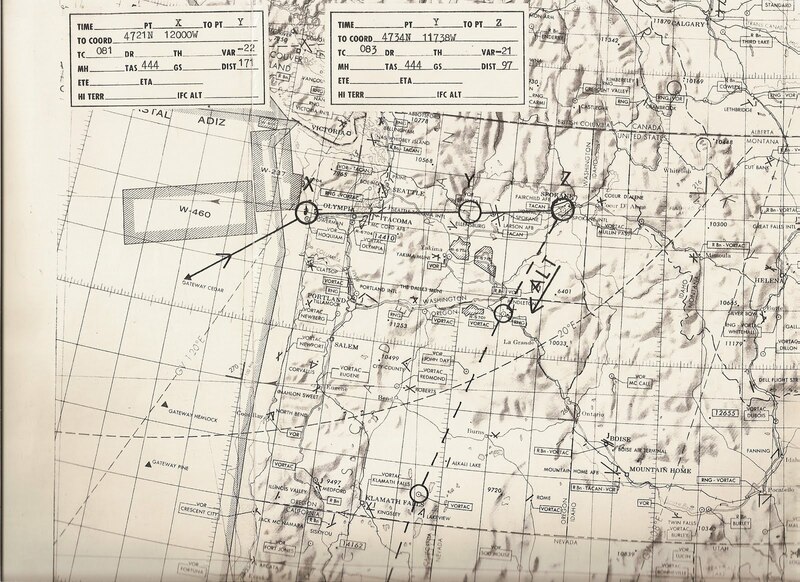 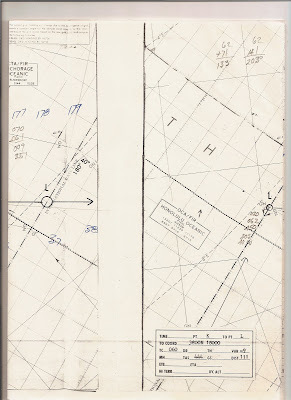 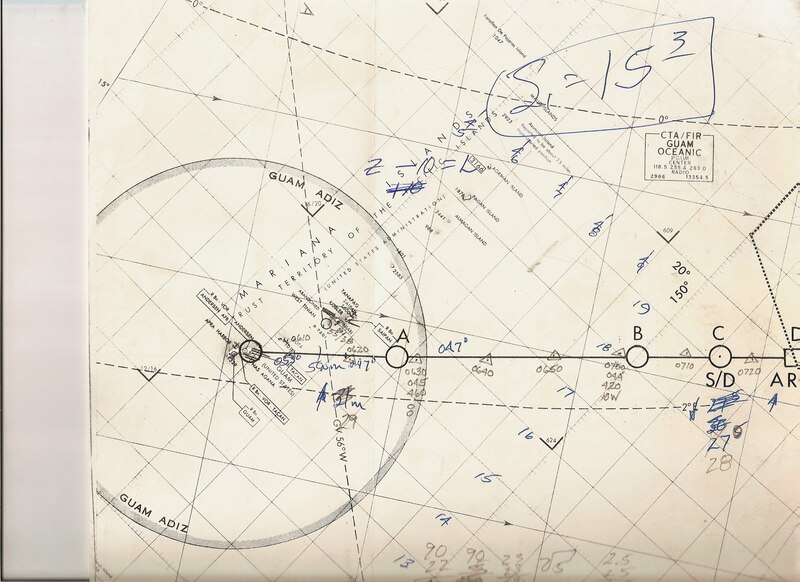 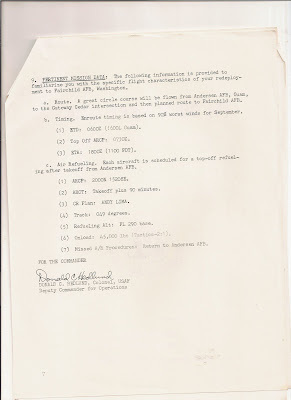 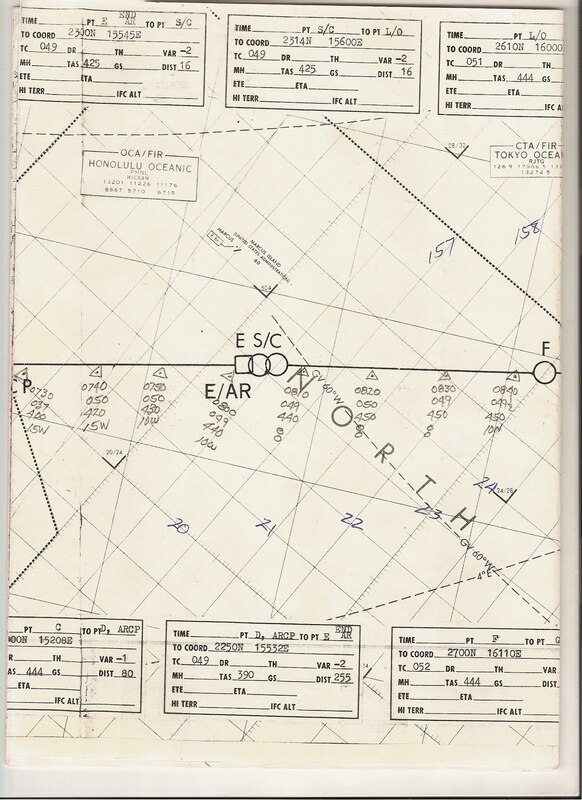 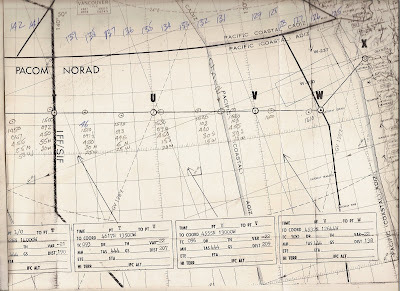 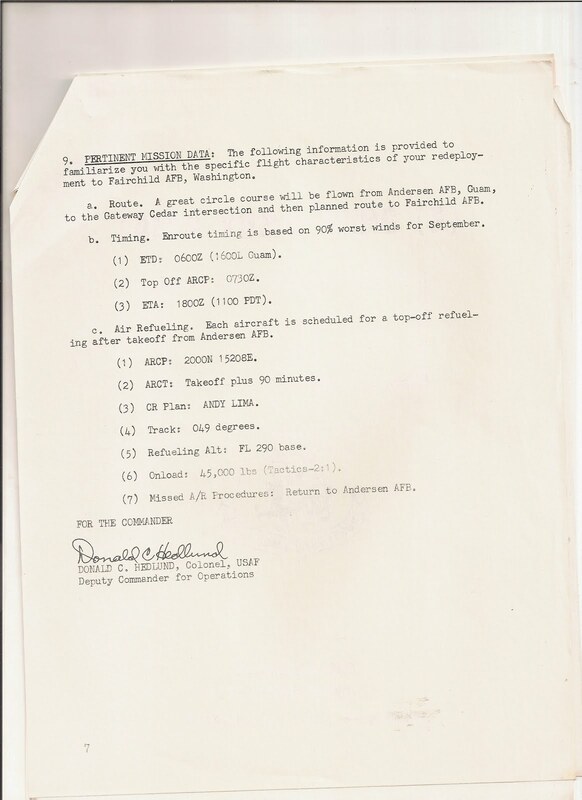 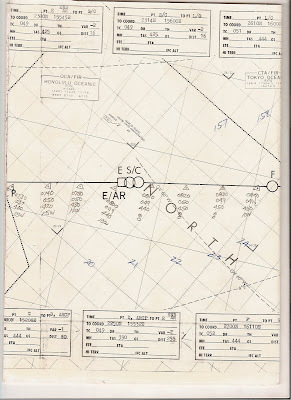 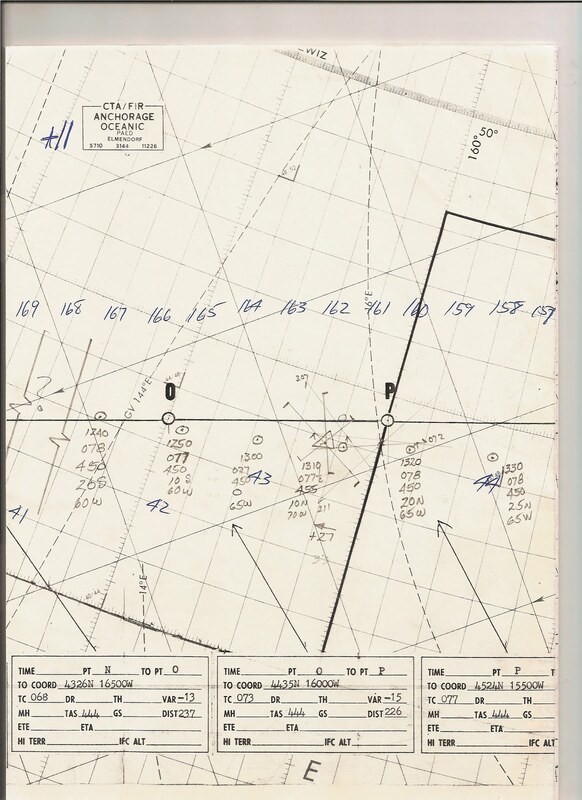 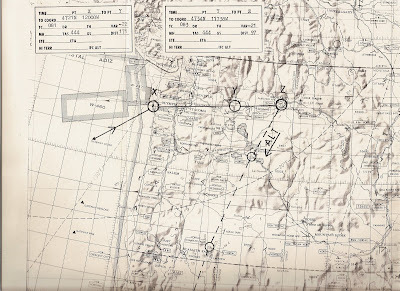 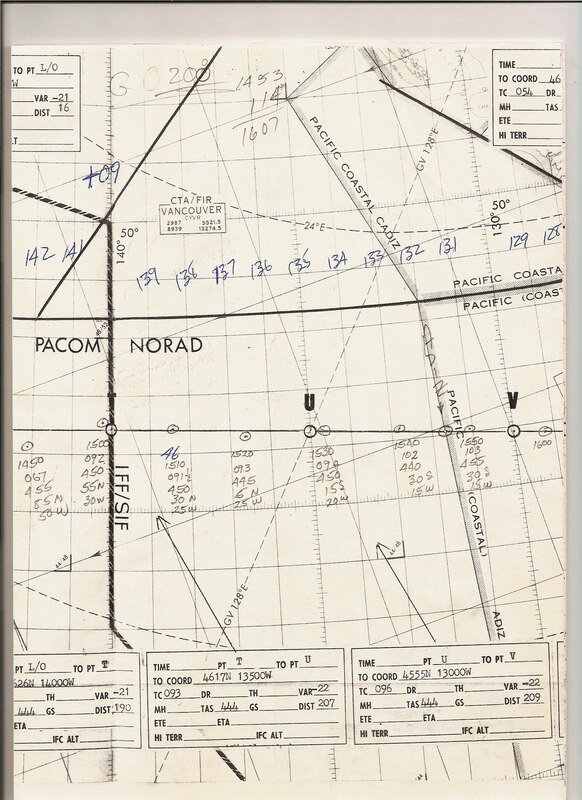 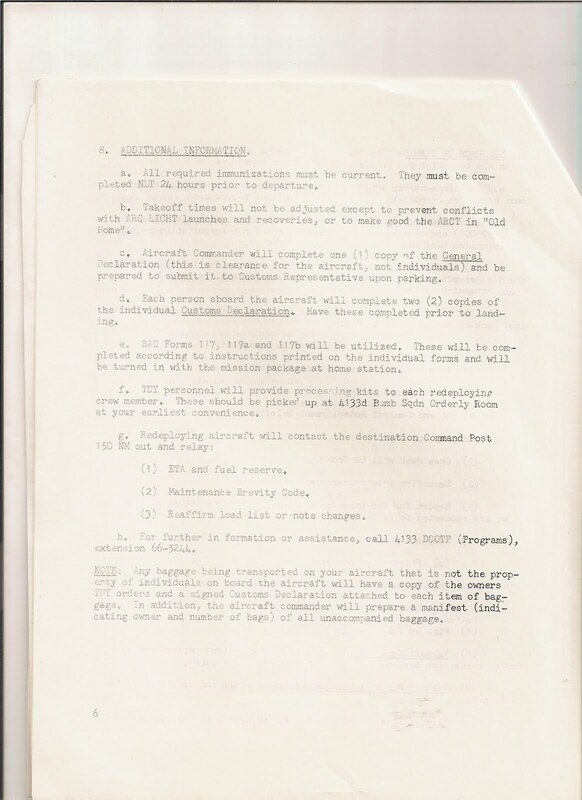 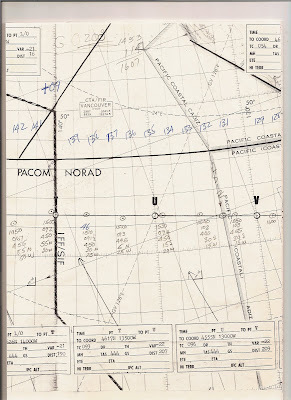 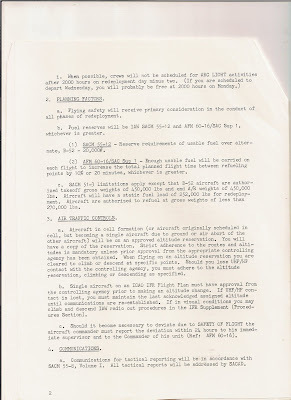 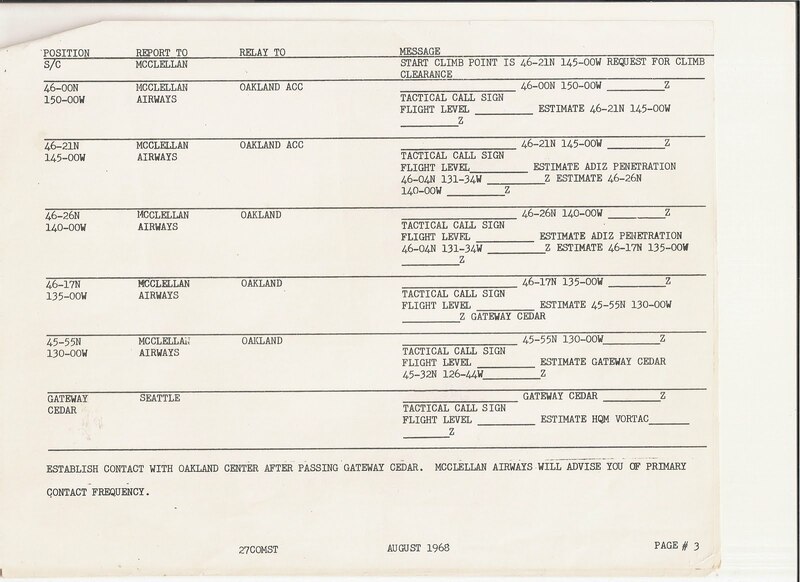 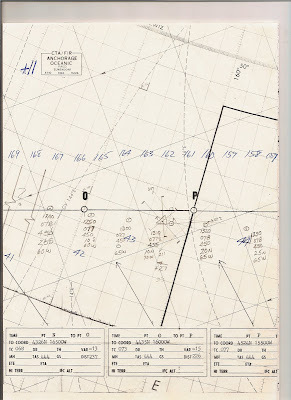 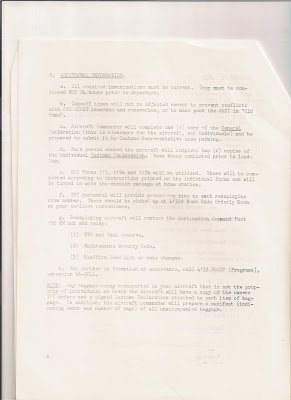 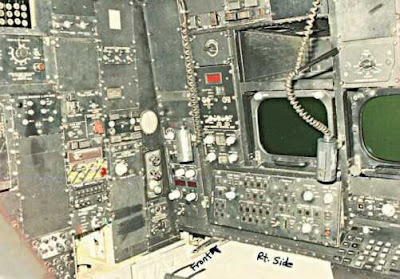 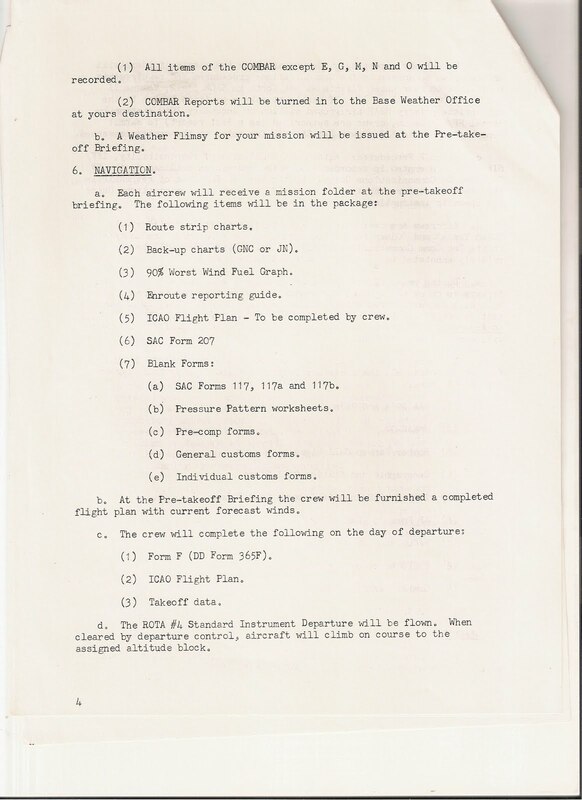 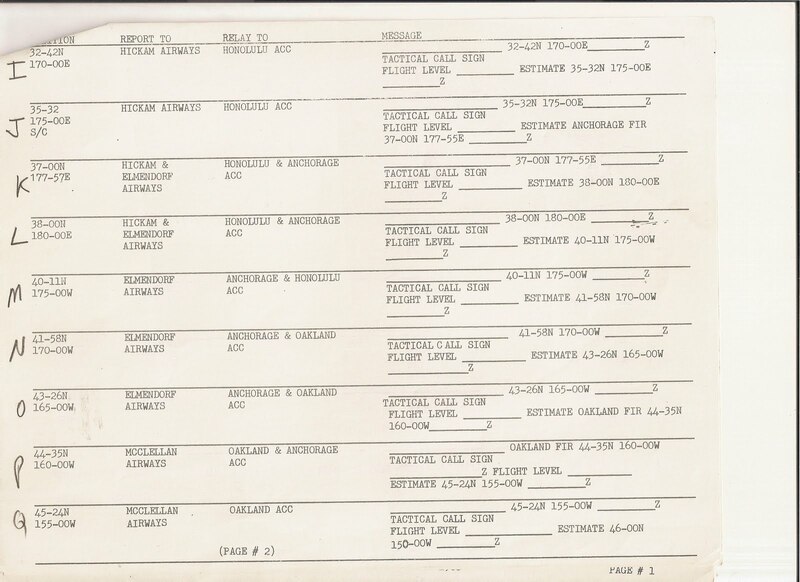 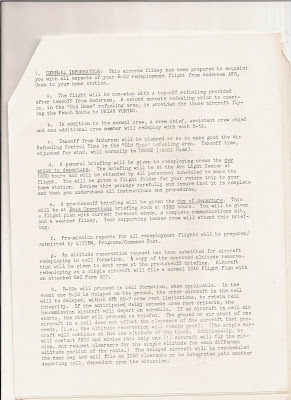 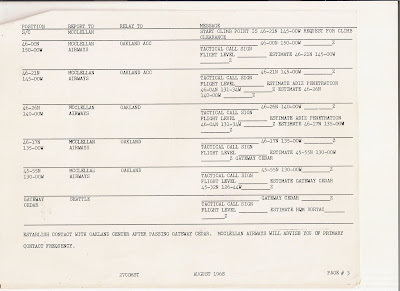 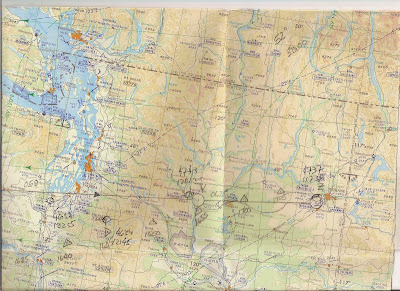 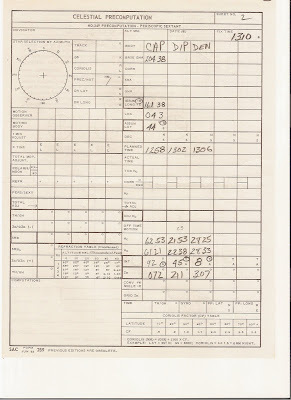 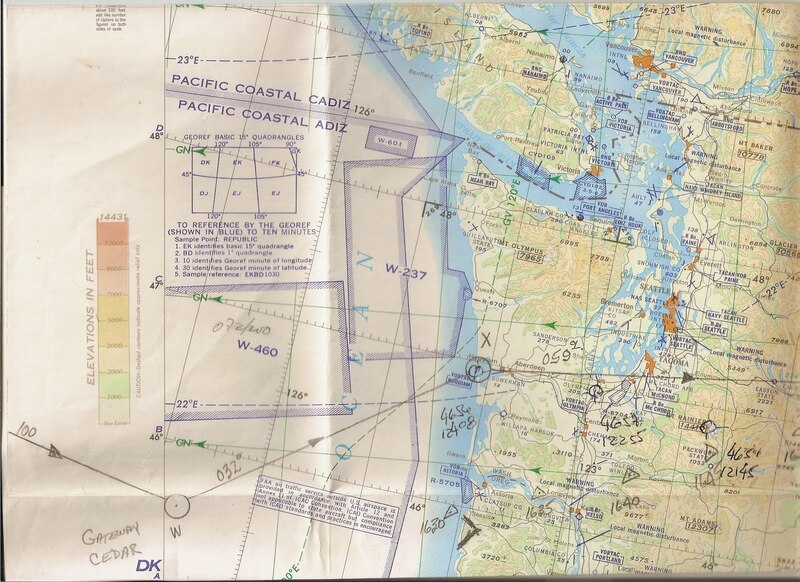 I found this B-52D air crew navigators flimsy folder with charts, flight plans celestial navi form, etc. 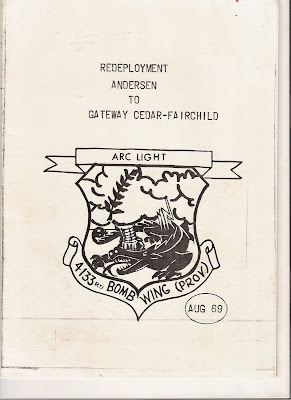 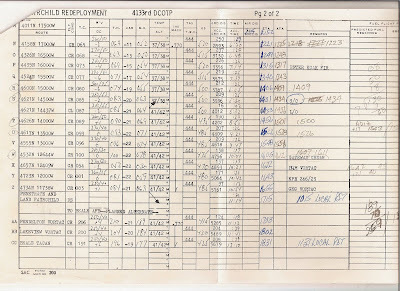 for his redeployment in 1969 from Anderson AFB, Guam to Fairchild AFB, Washington in 1969. 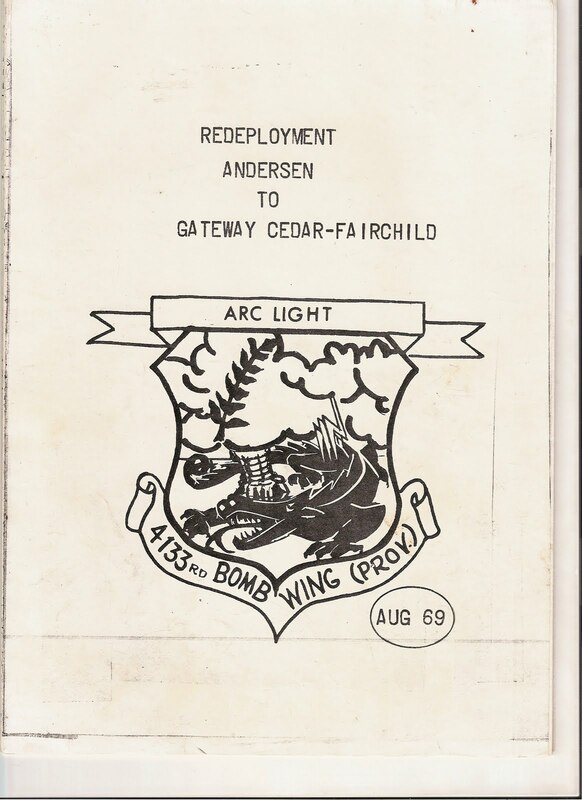 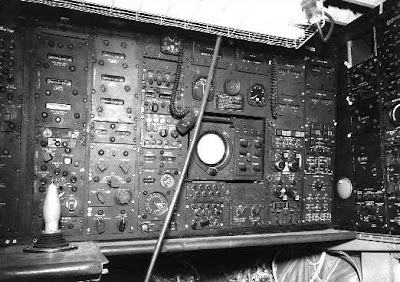 As a rotation from flying ARC Light bombing missions in Vietnam. 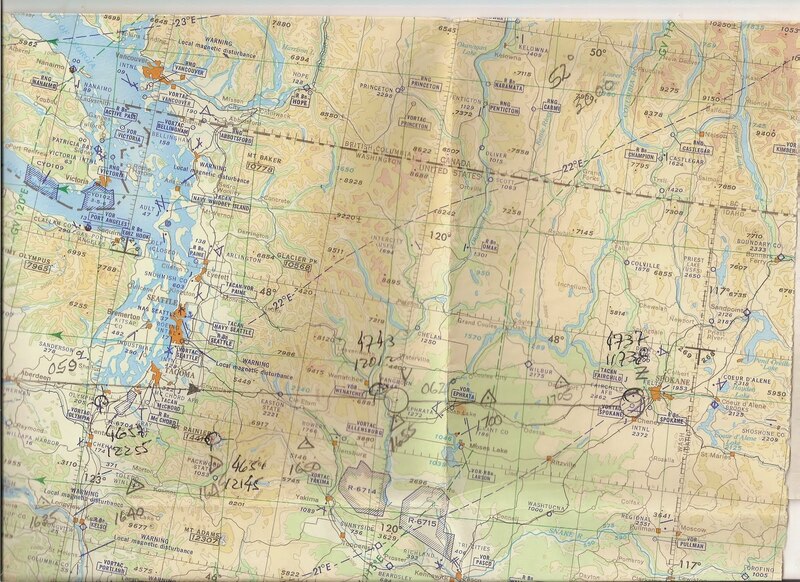 TAG ALL PHOTOS TO ENLARGE.